Making Worcestershire sauce at home, much less multiple times, was not on my DIY list a year ago. But as with almost all the DIY projects I dive into, I am rewarded to discover that the results are healthier, more flavorful and often less expensive. (There are, of course, exceptions: yogurt anyone? 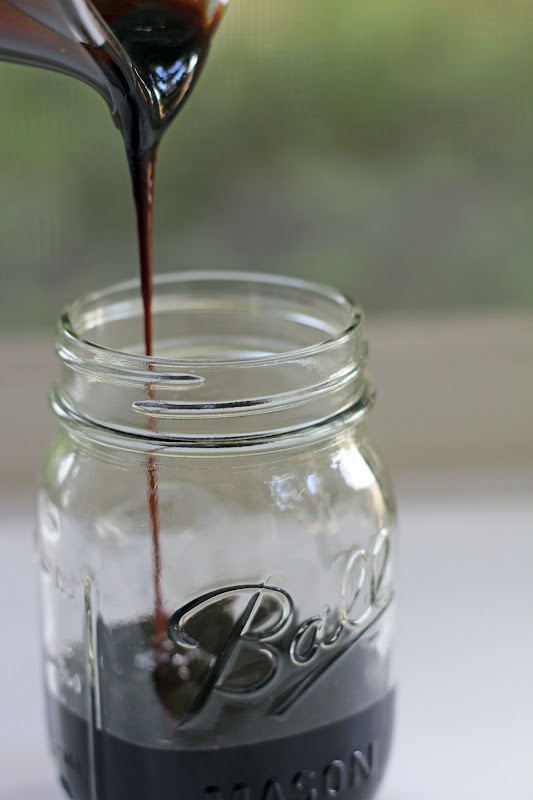 If at first you don’t succeed, try try again...) Worcestershire sauce is a slam-dunk winner, though, and I have been singing its praises since my first batch. I may be in love. Worcestershire sauce was a happy find in Jennifer Reese’s terrific book, Make the Bread, Buy the Butter. It was not something I ever dreamed I would have any interest in making since it never caught my attention the way other condiments do (mustards, hot sauces, chutneys). It turns out that was a reflection of the quality of Worcestershire I’d had. With store-bought Worcestershire, I used a teaspoon here and there. With homemade, I look for reasons to pull it out and start pouring. Glossy, thick, robust and downright delicious - not the usual words to describe Worcestershire sauce! I’m dolloping it on grilled steaks, mixing it into meatloaf, whisking it into salad dressings and adding spoonfuls wherever I want a pop of flavor. It may even make a marvelous homemade holiday gift, too. I have made this Worcestershire quite a few times now following the original recipe. This last time, though, I had no dark corn syrup on hand, and rather than heading to the store I decided to try honey instead which yielded great results. I also had a couple of extra jalapenos in my crisper drawer that needed a purpose so I included them for a little more bite. Kapow. This is sauce with character. This is a sauce to love. In a large, heavy sauce pan, combine the oil, onions and chiles and stir over high heat until soft, about 3 minutes. Add the garlic, pepper, anchovies, cloves, salt, lemon, honey, molasses, vinegar, horseradish and 2 cups of water and bring it all to a boil. Reduce the heat and simmer uncovered, stirring occasionally, until the sauce reduces and thickens and barely coats a wooden spoon, about 6 hours. Your kitchen will smell heavenly! Strain the sauce through a fine-mesh sieve set over a bowl. Press gently to release all the liquid. Discard the solids and let the sauce cool to room temperature. Store in a bottle or jar in the fridge. It keeps indefinitely, but you’ll be gobbling it up! Wow! That looks like it packs a punch! It really does, Vanessa - definitely a favorite condiment of ours now. I hope all is well with you! I'm continually amazed at what we can make at home, Eileen. I find myself saying, "Okay, what's next?" more often now. Lots of fun! this has been on my list for a while: I think I even got the idea from you! I don't care for it much, but my husband loves it, and since I like DIY, it would work out perfectly. I'm intrigued to see how much better the homemade stuff is though. I'm finally going to have to cross this off my list, thanks! What an intriguing combination of ingredients! I only recently discovered thick Worcestershire sauce, and making it at home sounds like a really great idea. This will make a wonderful rainy day project! Absolutely, Brianne! With rainy, darker days coming, we need to keep a fun list of projects ready to tackle. I think you'll like this one a lot! It never would have occurred to me to make my own worcestershire, but I think you're right--it would make a great holiday gift! Thanks, Christina - I can't believe I'm already thinking about holiday gifts...it must be the rain we had a couple nights ago! I guess it's never too early to start planning, though. I am so inspired by all the homemade ideas I saw shared last year! This is fantastic! I always buy vegan worcestershire sauce because the conventional stuff has crazy ingredients. I need to make my own! Hi Brooke - I think you could leave the anchovies out and add a little soy sauce instead for a bit of salty, umami type flavor. Let me know if you try it! I haven't tried your yogurt method yet, but the crockpot sounds like a great idea, and now I'm also wondering if I might have used ultra-pasteurized milk. I'll give it a go! I'm very impressed Hannah! I was eager to move onto the recipe because I was curious to know what's in the Worcestershire sauce! I definitely didn't know anchovies were in it. 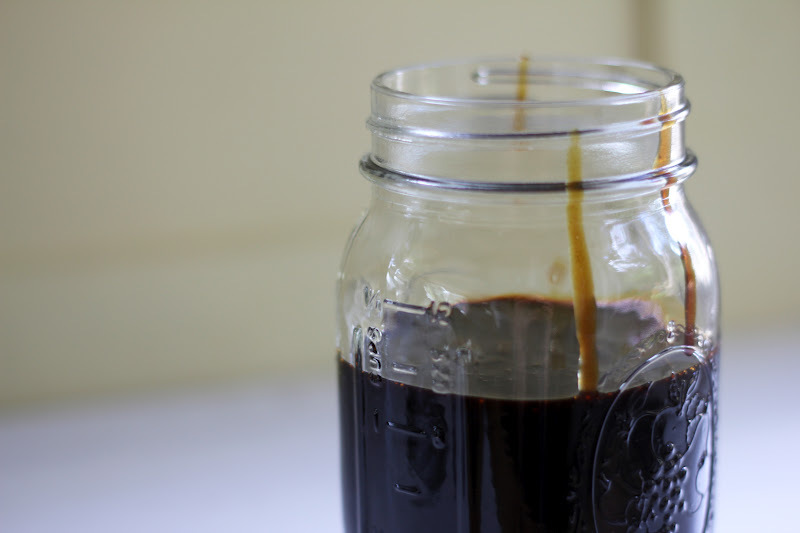 Japanese cooking uses Worcestershire sauce (we call it Oostah sauce, or Usuta-so-su), and homemade Worcestershire sauce sounds fun to make! Thank you, Nami - I'm delighted to have found this recipe. Growing up, we used Worcestershire sauce a lot and I was unaware that it had anchovies in it, too. It is definitely fun and worthwhile to make. Is Oostah sauce similar to this one? Hi Beth - I have found horseradish root in a couple of grocery stores (not all of them have it, though) and in Asian markets. I hope you are able to locate some! Be careful when grating as your eyes may start to sting a little. It's potent! Wow! I am so making some of this. I have always been a fan of lee & perrins....especially drizzled on grilled cheese....sublime. But homemade, as you say it almost always trumps the bought variety....so this goes straight to the top of the DIY list....thanks Hannah! My pleasure, Mairi! Now you have me dreaming of a grilled cheese with Worcestershire...that may have to be lunch today. Thank you for the suggestion! I need to try this. I grew up on Lea & Perrins, but they use high-fructose corn syrup! Blech. I've been looking around for a replacement since Worcestershire sauce is a really fabulous (and really quite unobtrusive) way to up the flavor in all kinds of things. I'm definitely a fan. I used to make my own yogurt every week, but I started having problems when we switched to unhomogenized milk. For some reason, the yogurt was all grainy and disgusting. So--I started buying it again. You're not the only one with yogurt problems! I hope you make this soon, Lauren - I think you'll be hooked. I just glazed salmon with it last night and it was delicious! Glad to know I'm not alone with the yogurt! I've given up for now and am focusing on kombucha at the moment - much better success there. As long as something is fermenting, I'm happy! Oooh, I need to try this. I almost never have store-bought Worcestershire sauce on hand when I need it for a recipe, but I almost always have all these ingredients in my pantry! I hope you enjoy this one, Allison! A batch will last quite some time in the fridge, so you'll have some on hand when you need it. And, as I've said, it is so much better than store-bought I think you'll love it! This is a great idea. I am going to have to try this one out. I once read that tamarind was in there too, but I notice you don't have any. Did you come across any recipes that did include tamarind? Thanks, Alphageek! I've heard of tamarind in Worcestershire sauce, too, but I didn't see it in recipes I checked out. That could be an interesting variation to make, though, and compare the flavors of both. I may try tweaking my next batch to include some tamarind. Thank you for the reminder! Thanks soooo much for this recipe! Due to my daughter's 20+ food allergies (including gluten, soy, dairy, corn, olive, mustard... etc) and 20+ chemical, environmental, etc. allergies, I make most everything at home to make it safe for her. This looks amazing! I am going to try it with for the beef jerky this week! My pleasure, Jennifer! Homemade is just the best for so many reasons - the flavor is terrific and you can control the ingredients for quality and allergies. I hope you enjoy the Worcestershire sauce and the beef jerky. Please let me know if you have any questions. I appreciate you stopping by! Happy New Year to you and your family! Just made this and am straining it now. It was done in 4-1/2 hrs., and probably would have been okay at 4 hrs. I'm hoping it doesn't get thick as it cools; the solids seem very caramelized. Tastes great and spicy(I also added the jalapenos.)! OK, it cooled and tasted very concentrated, so I whisked in 1/2 C. or so of filtered water. I ended up with almost a full quart sized jar. Excellent! Hi, I'm delighted you made a batch! Thank you for letting me know. I appreciate hearing about your process. Glad you added the jalapenos for some extra kick, too. And that's a great tip to add some water if the sauce is quite concentrated. I hope you enjoy it! We are never without a jar in our fridge now. Happy spring to you! Just read your recipe as my favourite veggie version is no longer available and I'm looking to make my own (without anchovies). Ingredients in my bottle doesn't use horseradish but does have tamarind. Should I just jump in with horseradish or have you tried making a batch with tamarind yet? Hi, I haven't made a version with tamarind yet but I think it sounds like a great option. Maybe you could make this version here and sub in tamarind paste for the anchovies? Or perhaps soy sauce? You're looking to add some deep umami flavor. Let me know how your veggie version comes out - I'd love to hear about it. I'm happy you stopped by! Hannah, I love the idea of DIY however my husband is diabetic and we can't do the molasses. Do you think coconut sugar could substitute? Hi Gail, I think coconut sugar would be a good substitute for the flavor of molasses. I like baking with coconut sugar and and appreciate its low glycemic level. I hope you enjoy the sauce and would love to hear how it turns out for you. I'm happy you stopped by! Hi! My son is allergic to lemon, could I leave that out? Many thanks! Has anyone tried making this in a crockpot since it cooks so long? Hi, I haven't tried making this in a crockpot but I think that's a terrific idea! You would not have to worry about stirring it. I'm going to do this next time. Thanks for your suggestion! I hadn't wanted to comment until we'd finished the first bottle, which I made over the summer. We just used the last of it, so it's time to make more. This stuff is amazing! Thanks for sharing!